Art History is rich with a web of connections between artists, many created by apprenticeships or mentoring relationships. Our September 24 auction of 19th & 20th Century Prints & Drawings is filled with examples of the layered lineages behind artists’ styles. Scroll through for a look at a few of the creative mentor & mentee pairings on display in this auction. 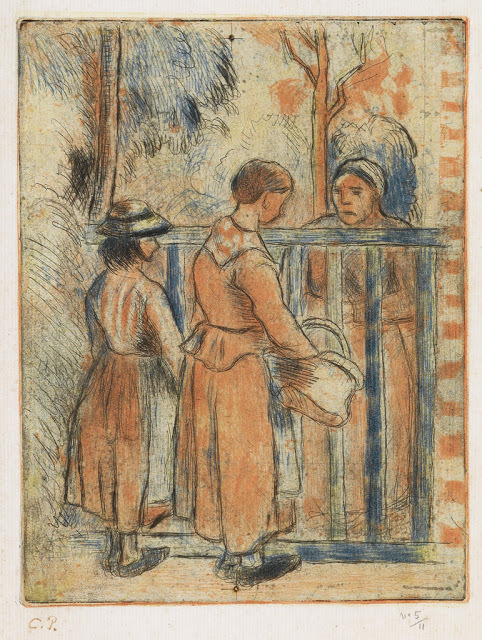 Lot 80: Camille Pissarro, Mendiantes, color drypoint and etching, circa 1894. Estimate $7,000 to $10,000. 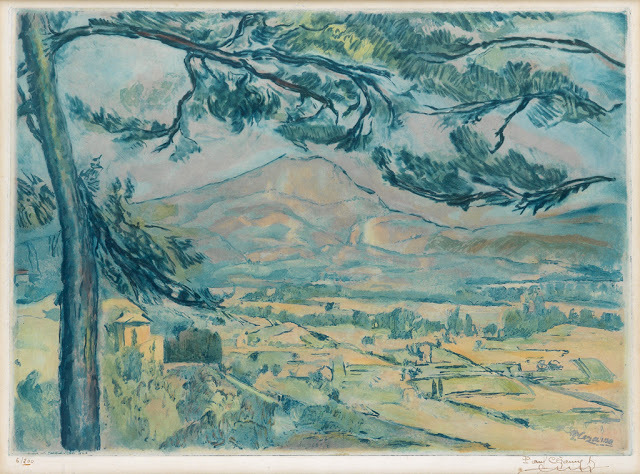 Lot 120: Paul Cézanne, La Montagne Sainte-Victoire, color aquatint, 1923-24. Estimate $2,000 to $3,000. 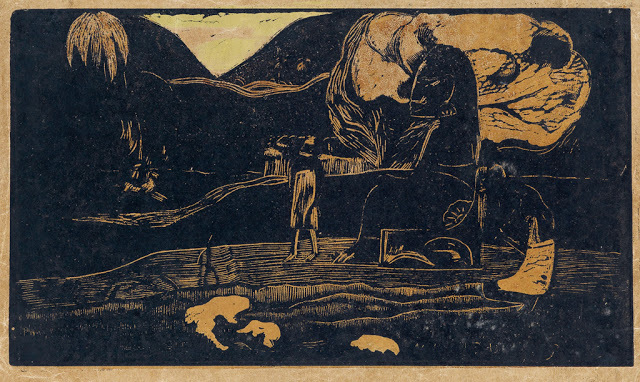 Lot 141: Paul Gauguin, Maruru, color woodcut, 1893-94. Estimate $30,000 to $50,000. Lot 53: Mary Cassatt, Reine and Margot Seated on a Sofa (No. 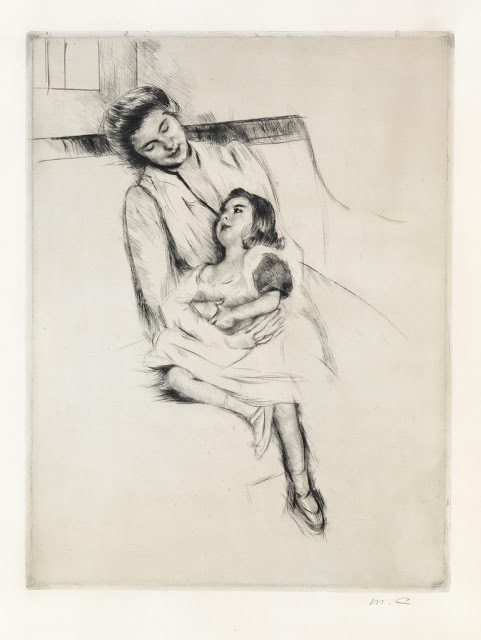 2), drypoint circa 1902. Estimate $25,000 to $35,000. Another compelling mentor/mentee pairing in this sale can be see in the works of Austrian symbolist painter Gustav Klimt, and his protégé, Expressionist Egon Schiele. Klimt facilitated Schiele’s entry into the 1909 Internationale Kunstschau and connected him to wealthy patrons. Lot 424: Gustav Klimt, Urmarmen Akte, pencil, 1908. Estimate $40,000 to $60,000. 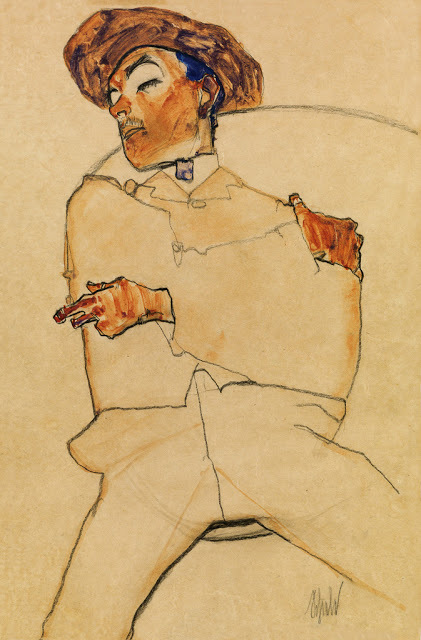 Lot 423: Egon Schiele, Schlafender Mann, watercolor, pencil and black crayon, 1910. Estimate $200,000 to $300,000. 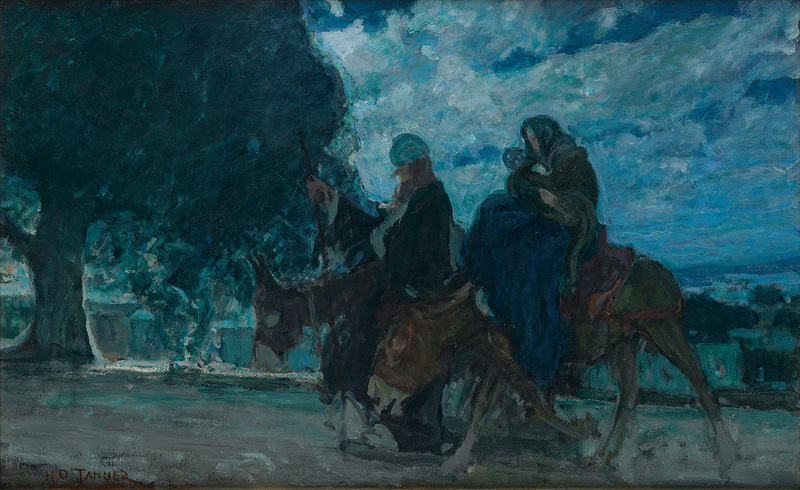 A slightly less common, though more literal, iteration of artistic lineage can be found in the works of the French Cubist painter Jacques Villon and his younger brother, the painter and sculptor Marcel Duchamp. The brothers came from a creative family, with four of the seven siblings enjoying careers as artists. The 12-year age gap between Villon and Duchamp allowed the younger brother to look up to his older sibling in both a familial and creative sense. 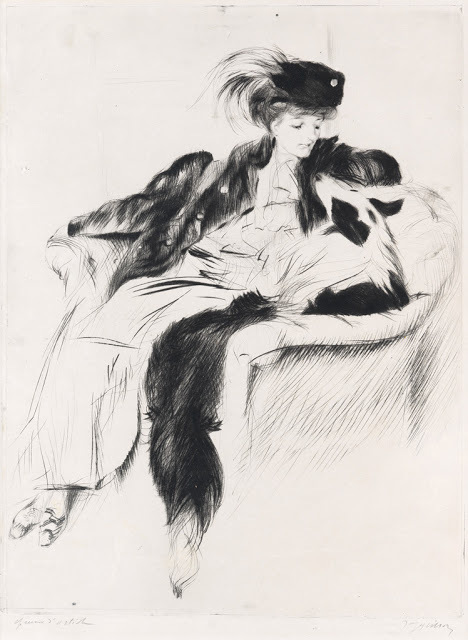 Lot 353: Jacques Villon, La Femme au Chien Colley, drypoint, 1905. Lot 412: Marcel Duchamp, Coffee Mill, etching, 1947. Estimate $1,500 to $2,500. The web of creative connections spirals out further from here. Be sure to check out the catalogue for this auction to see more from these artists and their contemporaries.